Small white willow wicker hamper style basket complete with grey linen liner. Ideal storage solution for the bedroom or bathroom. Also available in more sizes. 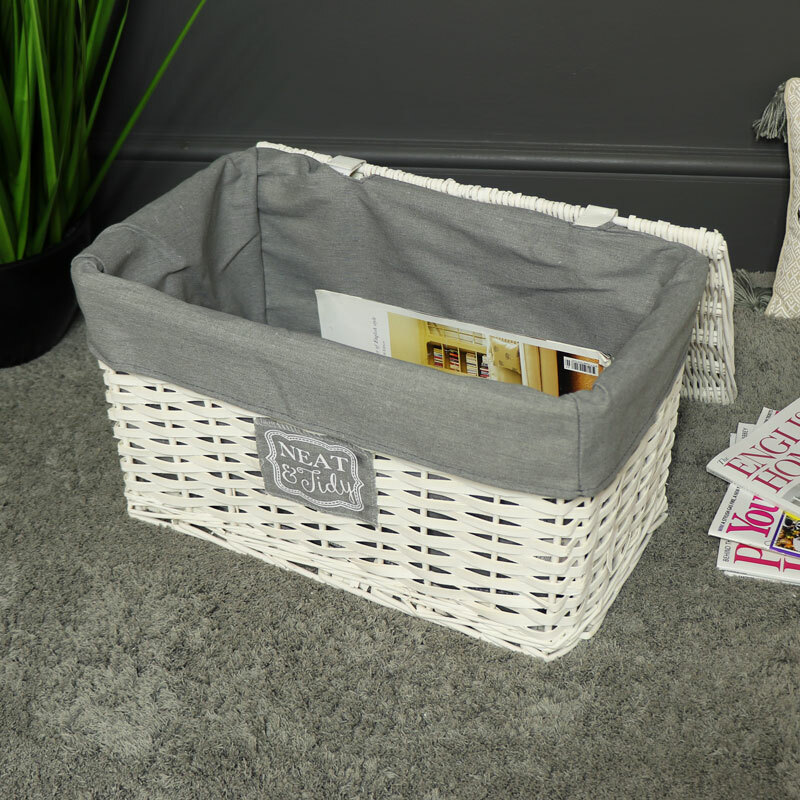 This basket is great storage for bits & bobs with lidded top that closes to keep everything looking neat and tidy. Charming shabby chic look. A great idea for storing baby clothes, tea towels. 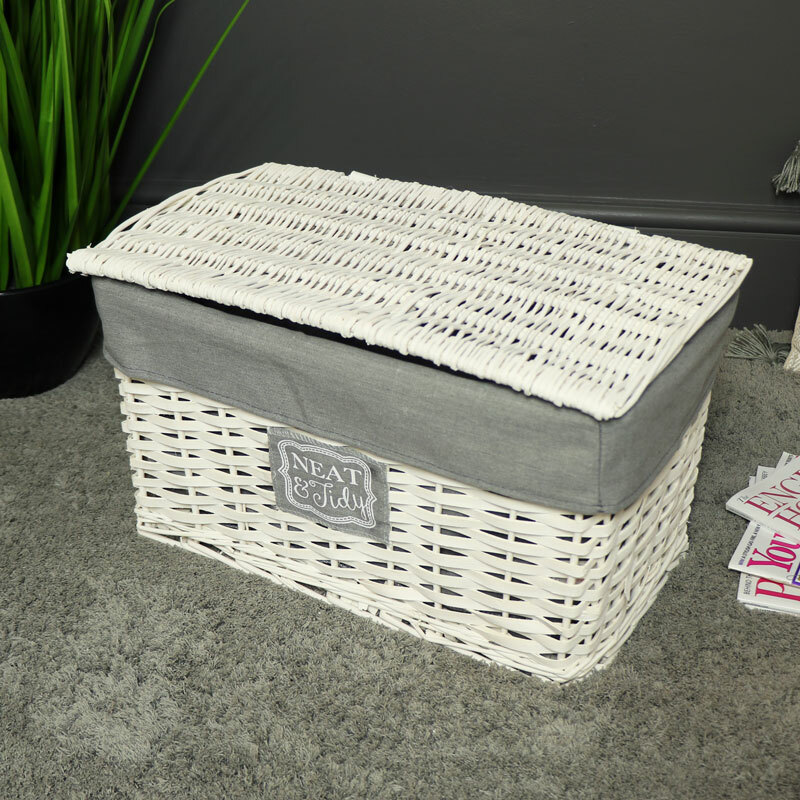 Small white willow wicker hamper style basket complete with grey linen liner. Ideal storage solution for the bedroom or bathroom. Also available in more sizes. 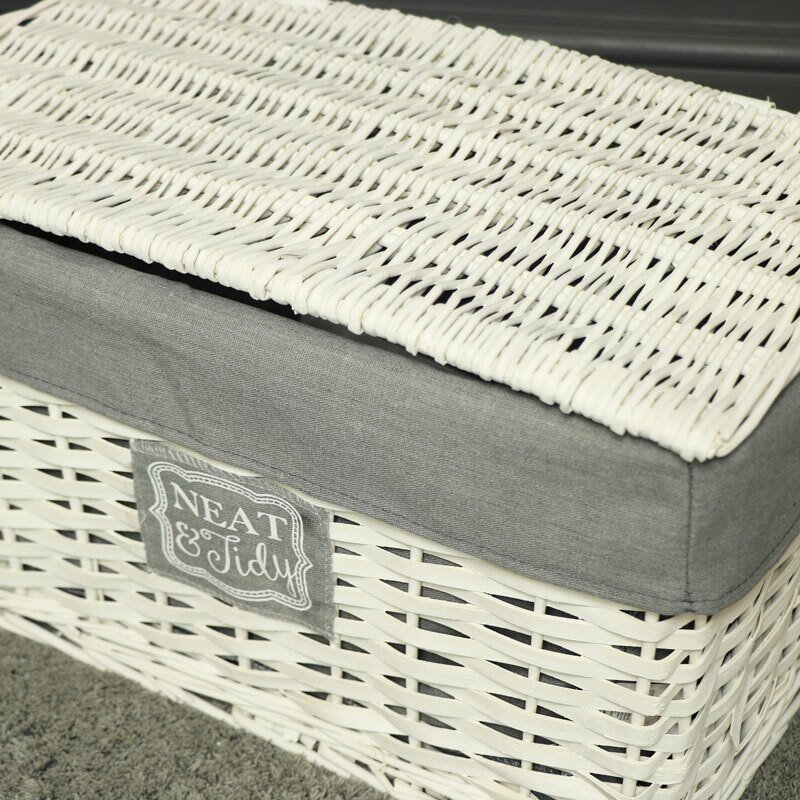 This basket is great storage for bits & bobs with lidded top that closes to keep everything looking neat and tidy. Charming shabby chic look. A great idea for storing baby clothes, tea towels.